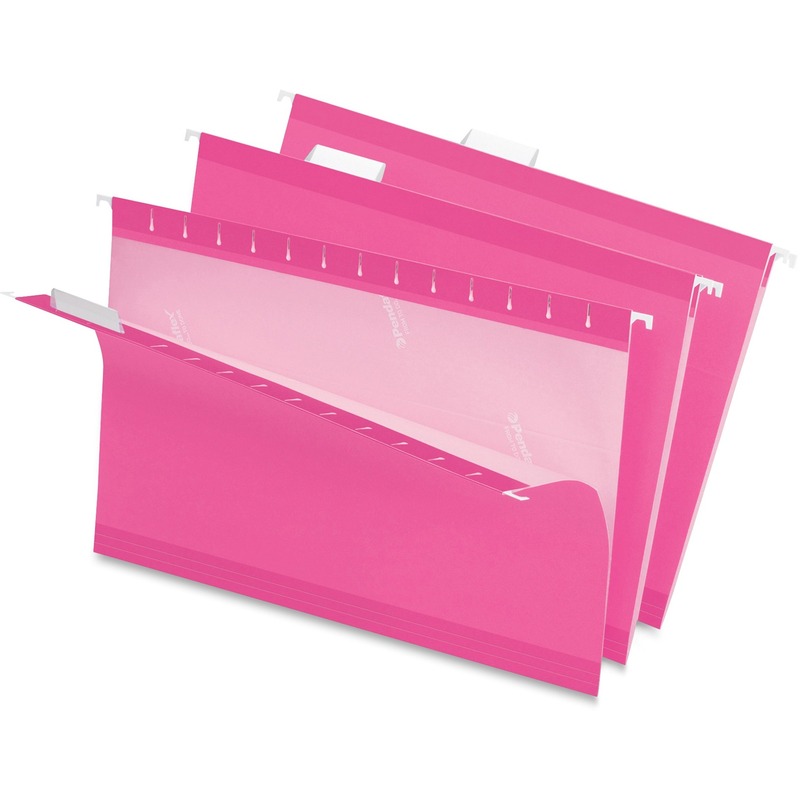 Only $25.48 Reinforced Hanging Folders, 1/5 Tab, Legal, Pink, 25/Box 078787435193 415315PIN ESSELTE PENDAFLEX CORP.
Use color to simplify filing: categorize subjects by color and count on the coordinating, lighter interior color to help prevent misfiles. Now includes letter size, printer-ready inserts to use with clear, PVC-free tabs (included). New dispenser box for quick and easy one-at-a-time dispensing. All critical wear points are polylaminate reinforced for extra durability. Exceptional tear and fold strength. Hanging File Folder Type: Standard; Size: Legal; Material(s): 11 Pt. Stock; Color(s): Pink.